As promised, today I'm going to share some of our favorite things we've been using for Audrey since we've been at home. Click here to see my post about things I've loved using for myself if you missed it! Audrey's cloth diapers don't fit yet, so we've been using these disposables and they're amazing! They have a cut out for the umbilical cord and a wetness indicator on the outside of the diaper, so there's no guessing if your baby is wet! These are wonderful. They make diaper changes so easy, especially in the middle of the night...just roll up the nightgown...no snaps! I highly recommend these, they'll make your life so much easier while you're adjusting to caring for your newborn! 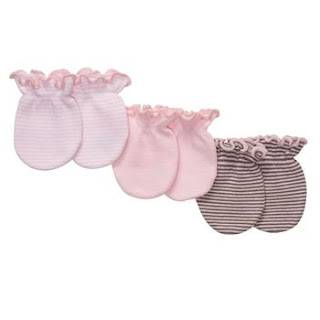 I usually only put these on Audrey when she's fussy because she likes to move her hands all over her face. Otherwise, she doesn't really scratch herself, but these have been very helpful! 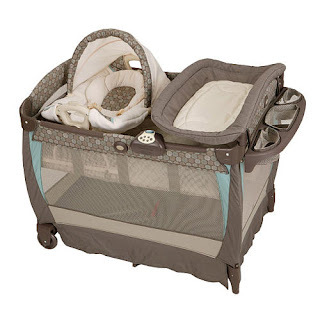 This is a pretty obvious one, as I'm sure most people buy pack n play's for their babies. 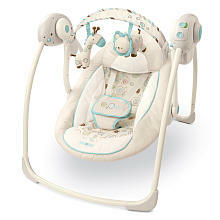 We especially like this one because of the little cuddle cove. We take it out at night and move it upstairs next to my side of the bed. It's much easier than moving the whole pack n play into our bedroom since right now it's downstairs in the living room. 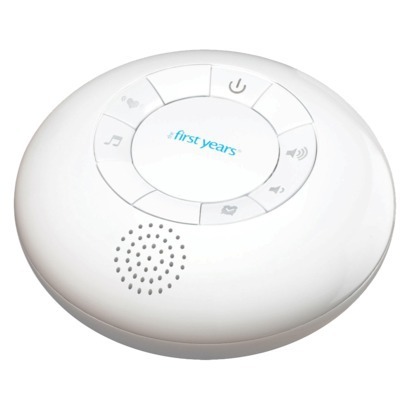 It has a vibration setting too, which we love and use all the time to settle Audrey when she's not quite asleep yet. 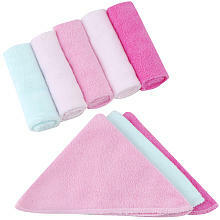 These are much softer than regular washcloths. 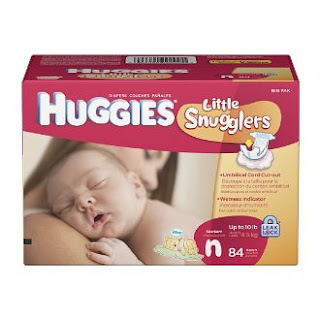 They're perfect for sponge bathing and wiping Audrey's delicate little face. 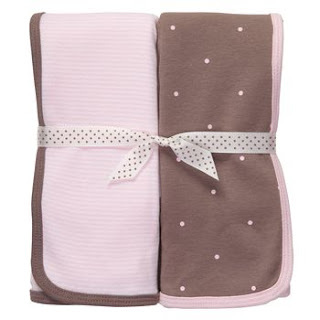 This type of blanket is my favorite for swaddling Audrey. It's cotton (like t-shirt material) and stretchy, so you can get a nice tight swaddle and it's really soft too! This swing has been great to give me a break sometimes when I need to put Audrey down. She doesn't always fall asleep in it, but she has once or twice. It's been wonderful to have around these first few weeks! We have a couple of other diaper creams for Audrey, but we like this one the best. It goes on smooth and thick...almost like a paste. I feel like it really makes a difference in taking away the redness in her skin with just one or two applications. We found out about this when Stacey from Labor of Love Photography brought one with her to shoot Audrey's newborn pictures. It was just one of her magical tools to get Audrey to sleep, so we thought we'd get one too! It has definitely helped soothe her to sleep (in combination with some other things!). For $25, it's certainly worth having around! 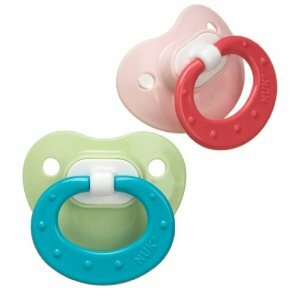 We didn't give Audrey a pacifier right away, but when we did, these are the ones we liked best. They are just the right size for her tiny mouth and they don't block her nostrils when she's sucking like some of the other pacifiers we have. Well, that's about all I can think of for now! Do you have any items to share that would be great to have around for baby in the first few weeks at home? Let me know in the comments! I hope you all have a great Friday! Thanks for sharing! We are expecting our first baby in February so I love reading these tips from other new moms! Thanks Kristen! I'm glad you found this helpful! Congrats on your first little one! It's such an exciting time!